MALAWI Entrepreneurial Development Institute (Medi) Friday graduated 88 growers in cassava processing and utilisation as one way of empowering them economically. Medi Executive Director Charles Kazembe said Malawi was on the right tract to be a net exporter as more people were involved activities that promote local investment. He said this at the end of a training workshop for the cassava growers, 58 of whom were women. The training drew participants from four centers of Bwemba, Chadza, Chitseka and Mtata in Lilongwe , targeting six clubs. 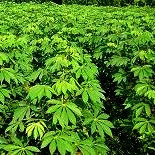 Medi started a pilot project in cassava processing in 2006 with funding from a US-based organization, Kellog, to the tune of U$855, 000 and the two year project ends this year. However, during the function graduates asked Medi to consider extending the project’s life span which they said would help more people in rural areas to equip themselves with entrepreneurial skills. ”Medi should continue with the programme because we are ready to produce more cassava and that our friends should also benefit from these trainings,” said Daniel Mlande, a class representative who spoke on behalf of all graduates. The cassava growers graduated from a two-week course on bakery, entrepreneurship and business management of cassava products. They went through courses such as hygiene and safety, rural cassava preparation, cassava flour processing, bakery tools and equipment, bakery ingredients, products from raw cassava and cassava flour, and product costing and marketing. At the end of the training the participants showcased various products which they made from cassava such as biscuits, yellow bans, meat balls and cassava-curry, among others.